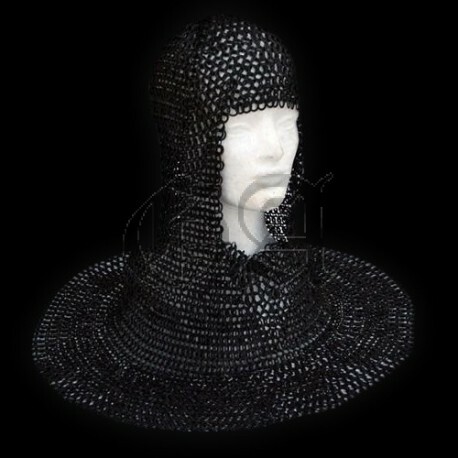 Worn under a kettle hat or a sallet, a sturdy riveted coif of mail offers additional protection to the face. It is less restrictive than a plate gorget which makes it ideal for crossbowmen, billmen, and men-at-arms who want to keep maximum mobility. Our camails are made of properly riveted mail like all real medieval originals. 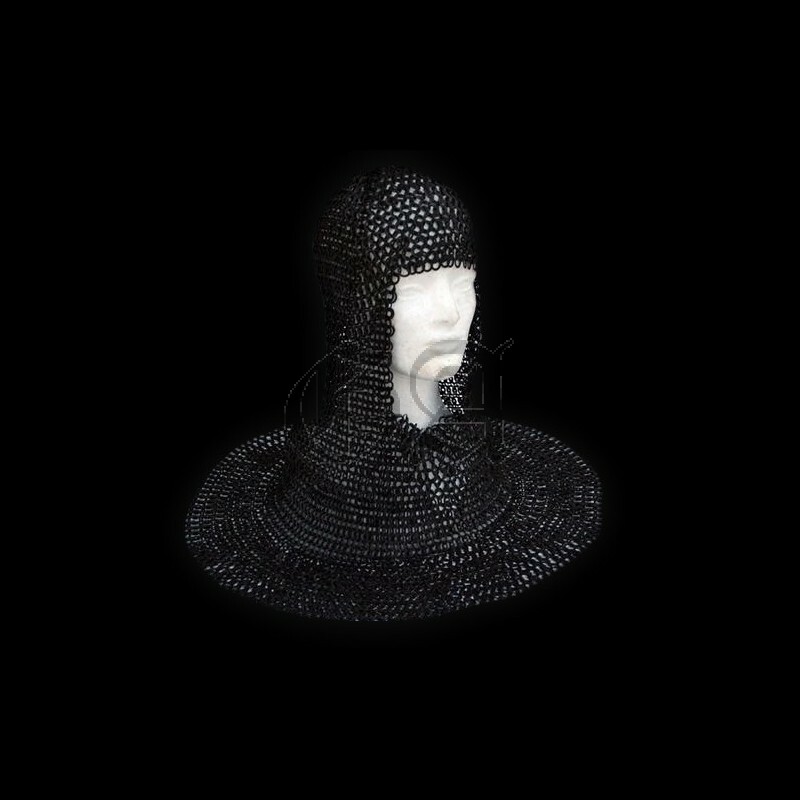 The light 9mm 18G rings of these coifs make them ideal for tournament and “Pas d’Armes” competition. Finish : blackened, in accordance with several sources of this era.